If you’re craving oldskool, family style pasta, TAT is the place you need to hit up. No doubt, there are tons of Italian restaurants in the Capital City. Looking for that lobster and gnocchi fix? Maybe a butternut squash tortellini? We got you. Columbus has more spots for Italian dining than it has days of complete cloud cover (which I think we can all agree is more than a little bit). But what if you’re looking for something really old world? I’m talking family dinner prepared by an old Italian grandmother, haranguing you for being unmarried and single in your mid-twenties. 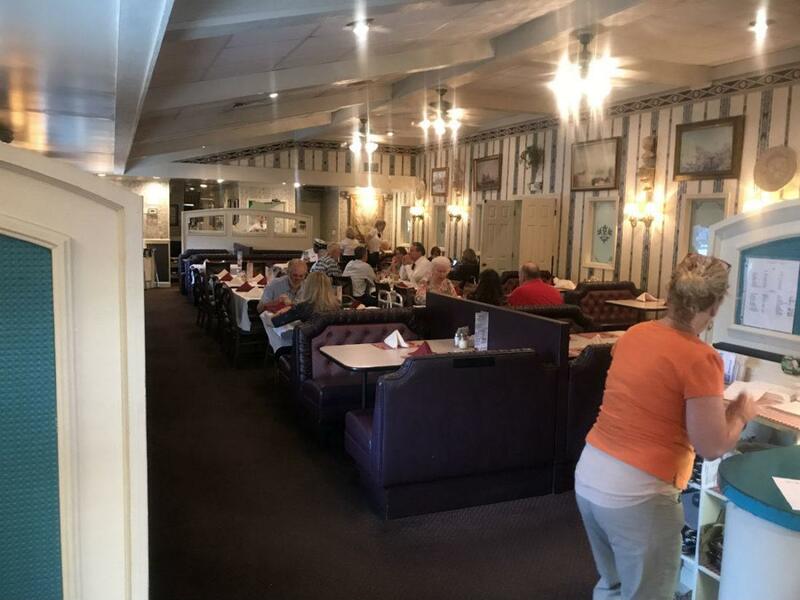 The restaurant you’re looking for is going to be on East Livingston Avenue just past James Road, a lovable little diner called TAT Ristorante De Famiglia. 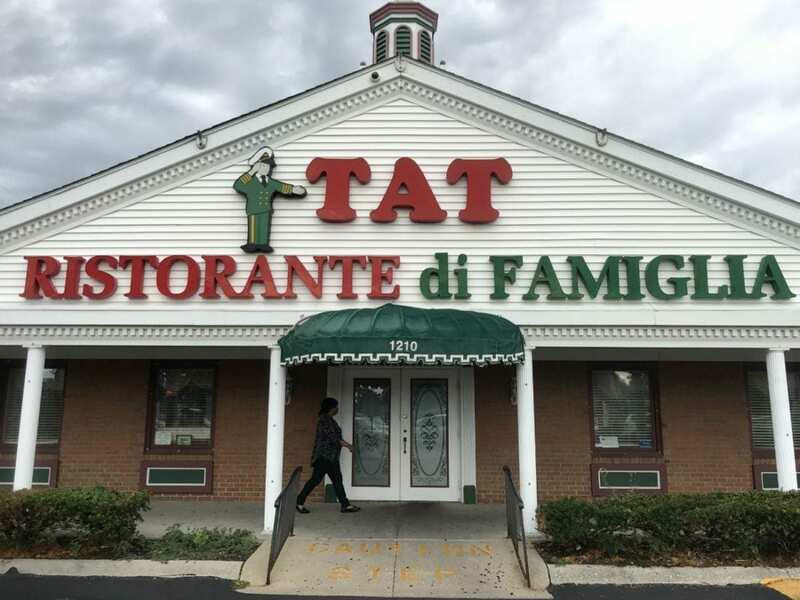 TAT has been a Columbus East Side staple for decades now, 88 years to be exact. And the whole time they’ve been perfecting house recipes and welcoming customers with a familial sort of hospitality. For many, it was a familiar sight on the side of the road, a curious little white roofed, brick structure with big bright lettering. A funny cartoon mascot of an officer salutes drivers as they pass by and a lonely weather vane perches casually toward the front of its roof. 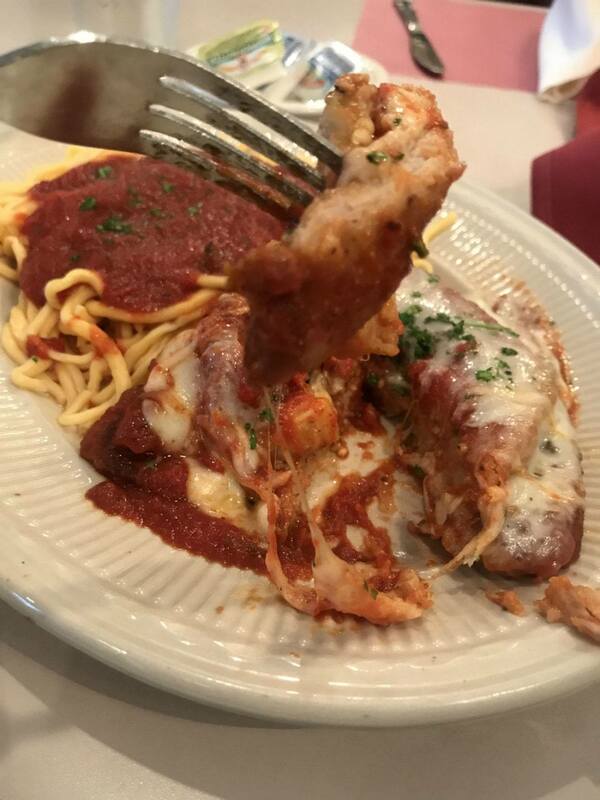 For a while, I had been jonesing for a homestyle Italian meal. It had been years since I had ever been into TAT’s, I was pretty much a kid the last time so I didn’t remember much about it. Still, that didn’t stop a wave of nostalgia from smacking me in the face as soon as I walked in. The waitress’s smile immediately set me at ease and the worn leather booths were comfortable and snug, like your favorite reading chair from your childhood home. 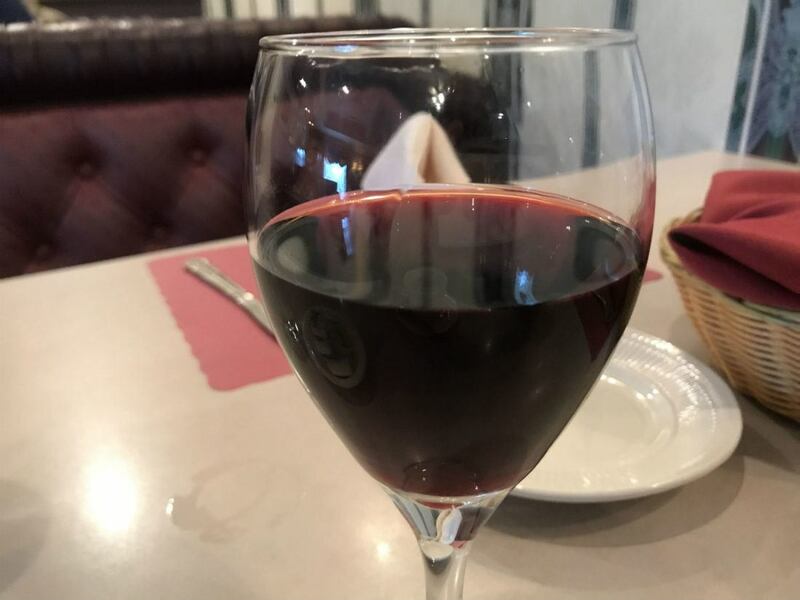 The menu was actually a bit more extensive than I had anticipated, with a huge selection of pasta, steaks, chicken dishes, and wines. I settled on the Red Rock Merlot though I would have preferred a Malbec. Still, it was surprisingly good despite its affordability. Warm and well rounded with a pleasantly bright finish. 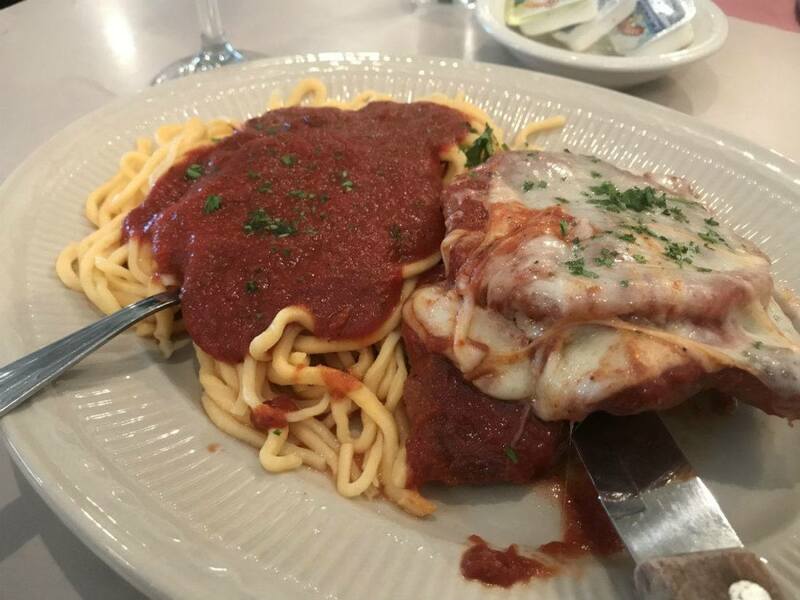 As soon as my eyes landed on the Veal Parmigiana with Eggplant I knew I was done for. There was no way I’d be able to circle around a dish like that and not order it. Luckily for me, my weakness for veal and excessive amounts of cheese paid off. The home made sauce was thick and rich with flavor. 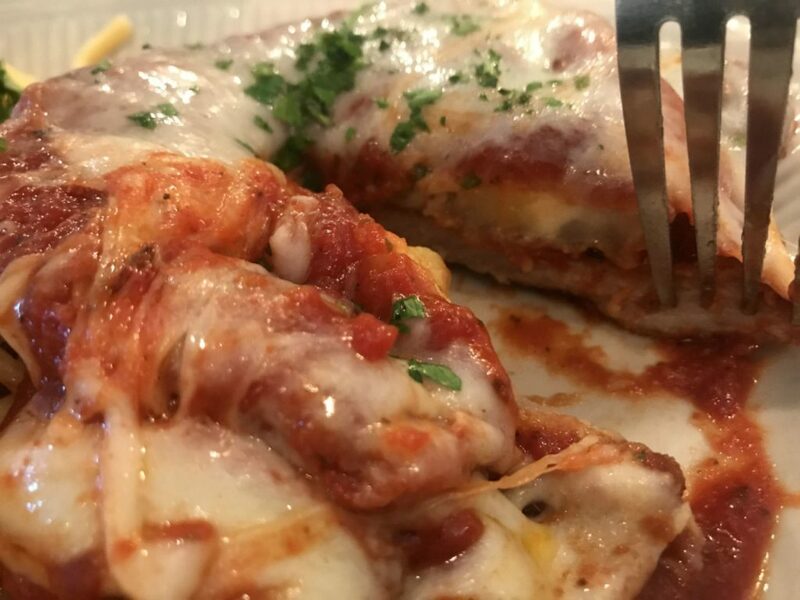 The veal was hearty and done just right and the eggplant topping it gave it an additional layer of texture that blended well with the cheese. It was obvious the noodles were house made as well, thick and with more flavor than you’d get with your average dehydrated pasta. It also had that lustrous orange hue that you usually get from freshly made spaghetti. 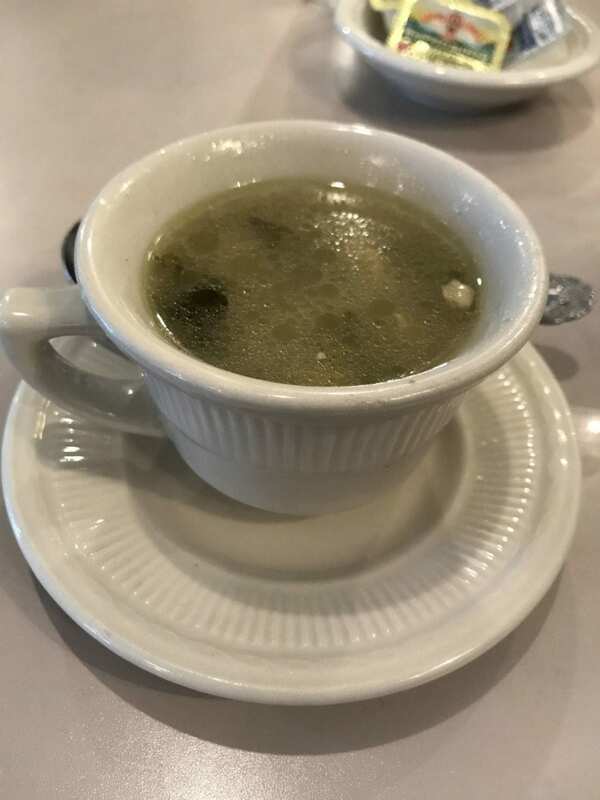 My meal came with my choice of soup (I picked Italian wedding soup because, duh, it’s the best) as well as a salad. The salad was nothing to write home about but, if I’m being honest, salads rarely are. 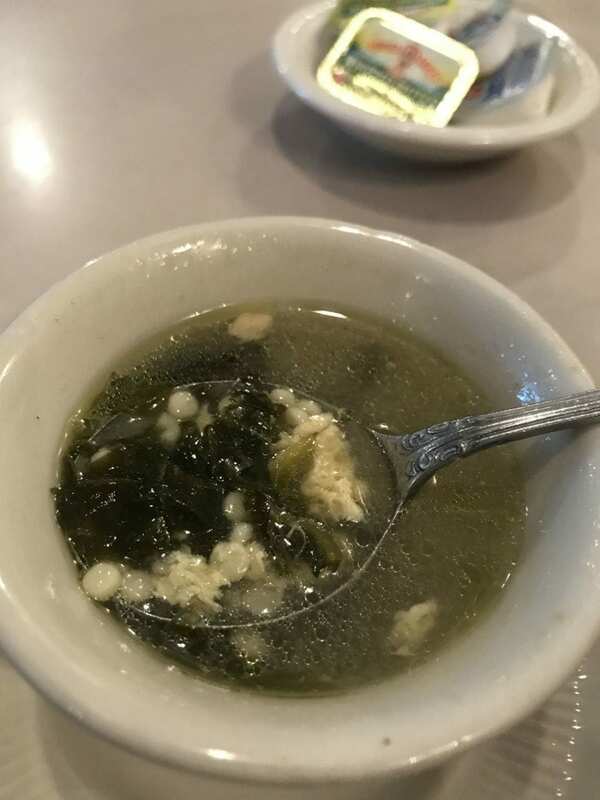 The Italian wedding soup, however, was fantastic. Flavorful but smooth and well seasoned, I found my self-chugging the tail end of it from the cup just to get the last bits into my mouth. All that combined with the main course left me stuffed and satisfied, both body and soul. The atmosphere and ambiance lend itself perfectly to a family dinner outing (I went alone because my life is sad and apparently it’s socially unacceptable to eat out with your cat) and the service was every bit as warm and hospitable as I was hoping. 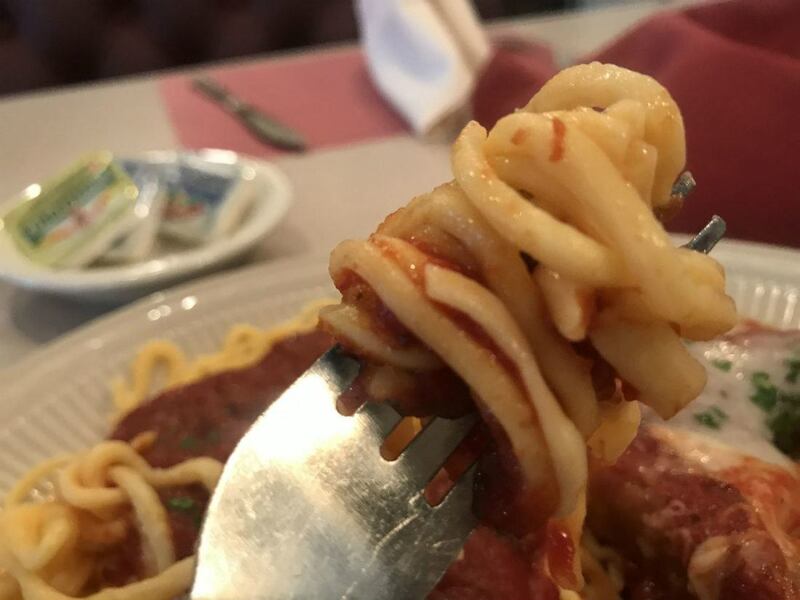 If you’re looking to catch a traditional Italian dinner just like Nonna used to make, head over to the east side of town and let TAT whip you up some pasta comfort goodness. You’re not going to regret it, trust me. Visit their website and scope out their menu for yourself.